South Bay Bright Future - "whatever your past, your bright future can begin today!" "whatever your past, your bright future can begin today!" South Bay Bright Future, Inc. is a non-profit 501(3)c charitable organization serving the needs of Los Angeles, Orange, Riverside and San Bernardino Counties. Established in 1981, our primary objective has been fostering ways to eradicate the despair of the children who have been entrusted in our care by positioning them toward a path of promise. We are committed to providing homes, care, treatment and supportive services for abused, neglected and emotionally troubled children and their families To our credit, we have successfully placed over 1,000 children in safe, nurturing, and therapeutic home environments. Our Group Homes Facilities accommodate males 12 -17 years of age and Non-Minor Dependents and our Certified Foster Family Homes accommodate both boys and girls newborn-17 years of age and Non-Minor Dependents; we are committed to excellence, and our efforts to ensure that each child is given the opportunity for a Bright Future. We have trained staff and foster parents who are dutiful to provide the best of service to our children, until such time when they can either be reunited with their birth families, adopted, or become independent persons themselves. 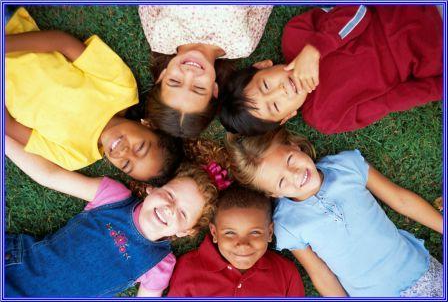 In 2006, we established Bright Future Child Placing Agency in Belton, Texas. Our efforts here have been to mirror the reputation and success that have been established in California. Governed by the California Department of Children and Family Services and the Texas Department of Family and Protective Services, both of our agencies have far exceeded the expectations. We are committed to see our children excel with the necessary skills, education, and support to enable them to soar as productive citizens. "Whatever your past, your Bright Future can begin today" This is not just our motto,it is a philosophy we demonstrate daily. Copyright 2009 South Bay Bright Future. All rights reserved.